Good low tides were predicted for the first week of January, which encouraged me to get out and about on the foreshore over the last few days, along with many others. 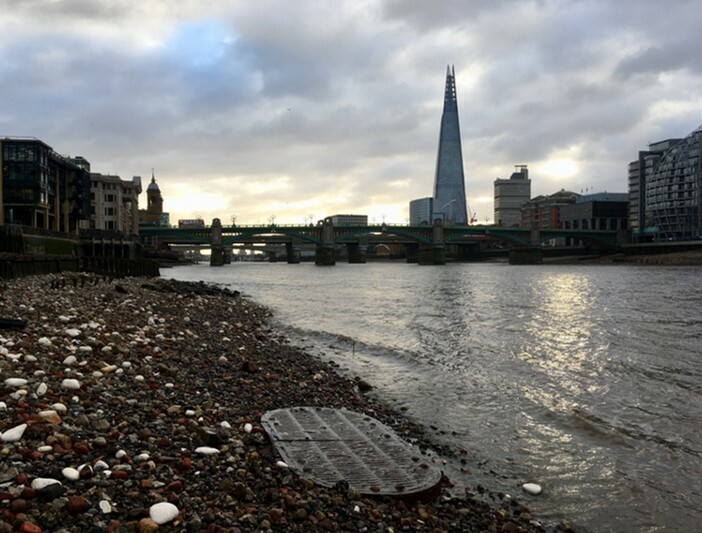 The first area I visited was the City of London foreshore; my plan was to head up to Southwark Bridge and have a quick look around before the tide came in and I had to head to the office. However, the Thames had other ideas and I was treated to a very, very low tide, meaning I could walk all the way from Cousin Lane to Trig Stairs and back again, with time to spare. 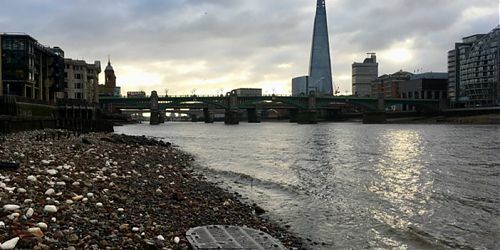 The very low water revealed a feature I had not seen on the Trig Lane foreshore; it looks rather like a large grille – has anyone else observed this? There are some more photos from the visit on Flickr here. Over the last couple of days we’ve been out at Surrey Docks Farm, revisiting the baskets and wickerwork we recorded in April last year with the FROG. 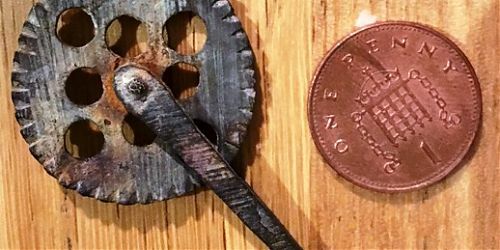 While the low tides were a little disappointing compared with the immediate post-Storm Eleanor levels of earlier in the week, this was more than compensated by finding something I’d not seen before – a small metal wheeled disc with serrated edges, attached to a prong or handle. A quick visit to the Finds Specialists at MOLA identified it as a ‘pastry jigger’ – used for cutting out shapes. None have so far been recorded on the Portable Antiquities website for London, but there are numerous others from across England, largely dating to AD1600-1800. However, the one from Surrey Docks differs from those shown on the PAS website in having eight small circles cut out of the wheel. I’ve posted a picture on a number of Facebook pages as well – resulting in the suggestion that it also could have been used as a book binding tool, for creating decorative lines. 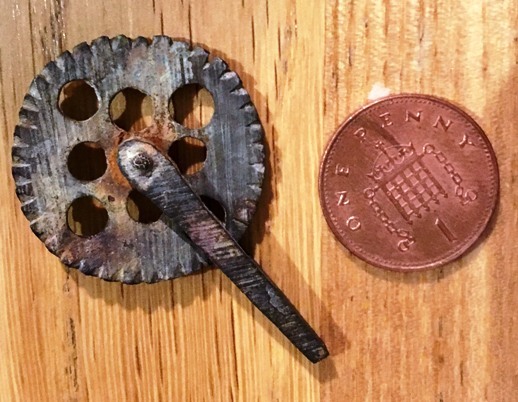 It’s certainly a fascinating little item!